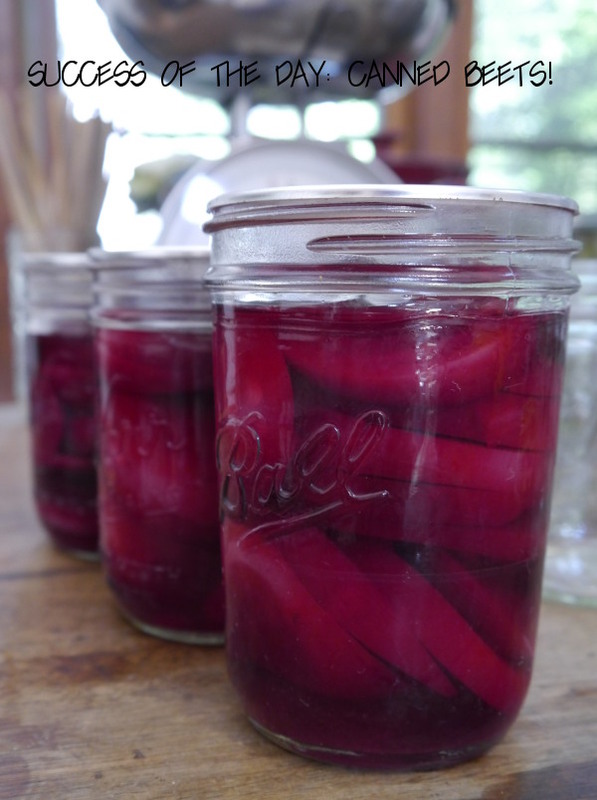 I thought it might be fitting for my inaugural blog post to write about canning beets! I was recently given a pressure canner, so a whole new world of food preservation opportunities have now opened up to me – not everything needs to be drenched in vinegar! Do not get me wrong, I love pickled things, but you can simply use water instead if you use a pressure canner. I was given a big bag of beets, or beetroot as it is known in some parts of the world, in exchange for some of our back yard eggs, so I took the opportunity to get acquainted with this new-to-me tool. 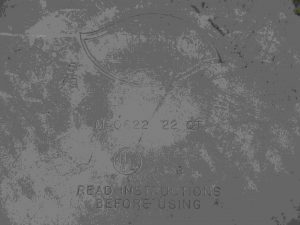 Especially since everything I read about pressure canning kept referring to the manufacturer’s instructions – which are long gone. After a bit of hunting for information, it seemed that the only thing really specific to the canner was how the lid lets you know that it is maintaining pressure. I thought it would be pretty clear to tell when this is happening based on my experience with the pressure cooker that I have had for over 10 years. 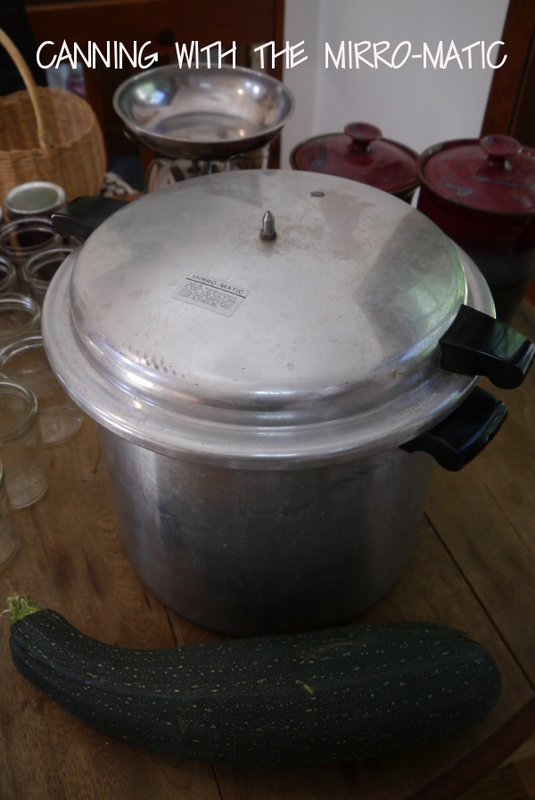 The guide I was following for pressure canning is from the National Center for Home Food Preservation. I printed out these instructions and have them easily accessible on the fridge. The other question I had about using the canner was that I read in several places that the pressure needs to be tested once a year, but eventually found after re-reading the document that weighted-gauge pressure canners do not need to follow this requirement. So, I got to work and followed these instructions and used the process time for a weighted -gauge pressure canner. I put the full jars in the pot and made sure the water level was half-way up the jars, I then secured the lid and let the water come to a boil and vent steam for 10 minutes before placing the weighted-gauge on the vent. After about 10 minutes on high heat, the gauge started to jiggle from the pressure of the steam, I turned the heat down, but kept it at a temperature that kept that gauge moving, which is when I started to time the processing of the beets. My next foray into pressure canning was a tomato-pepper salsa recipe. This one can be canned using the pressure canner or a water bath. I chose to pressure can, since I have that option. I followed the same process as the beet recipe, but sadly steam was escaping out the side of the lid and the pot never pressurized. I resorted to the water bath method. I think my next step is to purchase a new gasket for the ‘ole Mirro-Matic, but have not been able to find this model number on Amazon. I have since tried the canner again, and it pressurized as expected. I must just not have had the lid on correctly for the salsa. I would still like to get a new gasket, if you know where to find one, then please let me know!